These adorable shorts are made of a unique textured fabric in a laid-back neutral color scheme. The Textured Swirls Beige and Ivory Shorts are fully lined in beige fabric. The outer layer is a textured ivory lace mesh fabric with swirl designs throughout. The contrasting color scheme of ivory and beige adds a chic, understated look to the unique and bold design. An elastic waistband makes these shorts easy to slip into and out of. The Textured Swirls Beige and Ivory Shorts would look great paired with a beige or ivory top and flowy ivory cardigan to match the textured lace design. 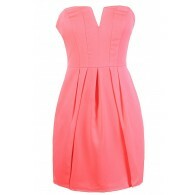 Another option would be to pair these shorts with a fitted white knit top or cardigan and beige pumps or wedges. Fit note: These shorts are very short and run extremely small; consider sizing up. Details: Lined. Elastic waistband. 70% polyester, 30% chinlon. Lining: 100% polyester. Dry clean only. Color will bleed. No bleach. Hang to dry. Small measurements: Length: 10”. Waist: 28”. 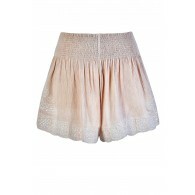 You have added Textured Swirls Beige and Ivory Shorts into Wishlist. You have added Textured Swirls Beige and Ivory Shorts for Stock Notification. You have set Textured Swirls Beige and Ivory Shorts as a loved product. You have removed Textured Swirls Beige and Ivory Shorts as a loved product.